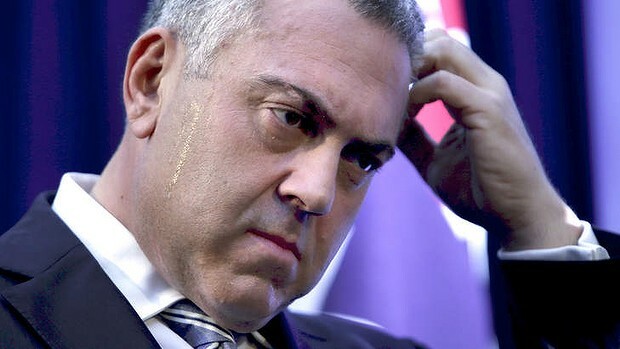 JOE HOCKEY aka MR DOOMSDAY: Budget emergency or a gambler in trouble? decision to borrow $8.8 billion to give to the Reserve Bank. injection and didn’t think it was necessary. There were two reasons that Hockey did this and they have nothing to do with stability. just before the next election. Unfortunately, that gamble isn’t going so well so far as the dollar remains persistently high. Treasurer Joe Hockey’s displeasure was made known to the RBA directly. next move will be up. requires more money printing to get going again. That’s not surprising when you remember that the return on many currencies around the world is exactly zero. again from already record lows is weak. and ward off an asset bubble fuelled by low interest rates. interest rate spread has climbed a long way off last year’s lows. housing construction, not the other way around. off the mining capex cliff. currency, which would help take the edge off and raise extra revenue. and he desperately needs to do something to make the dollar go lower.